The dried fruits produced in our facilities are mainly destined for the food processing industry or retail bulk sales. Our dehydration technique is 100 % natural and gently dries fruits with a hot air circulation process. 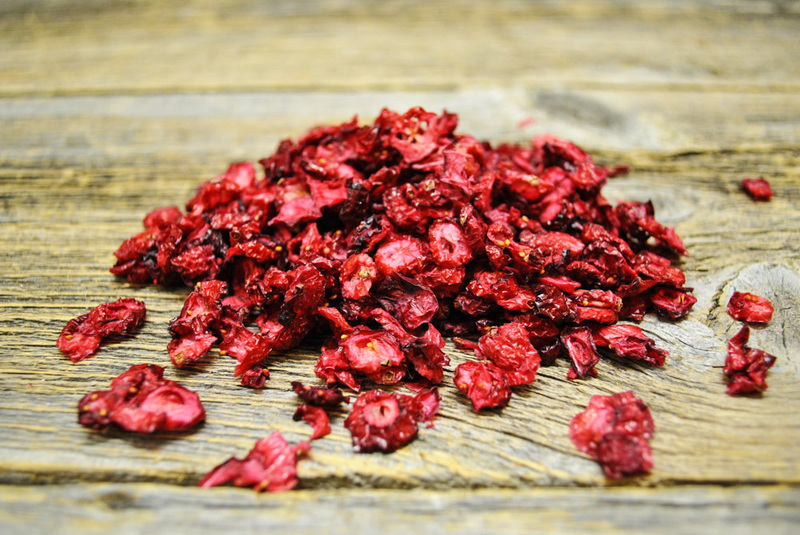 With this technique we obtain dehydrated fruits that preserve all of their original nutrients, flavours and colours. All of our fruits are dried without any added ingredients, including salt, sugar or oil. No food additives like sulphites or preservatives are used. Our high quality standards and certifications are guarantees for our outstanding products. We pride ourselves in offering you a range of quality dehydrated fruits that are great for your health! 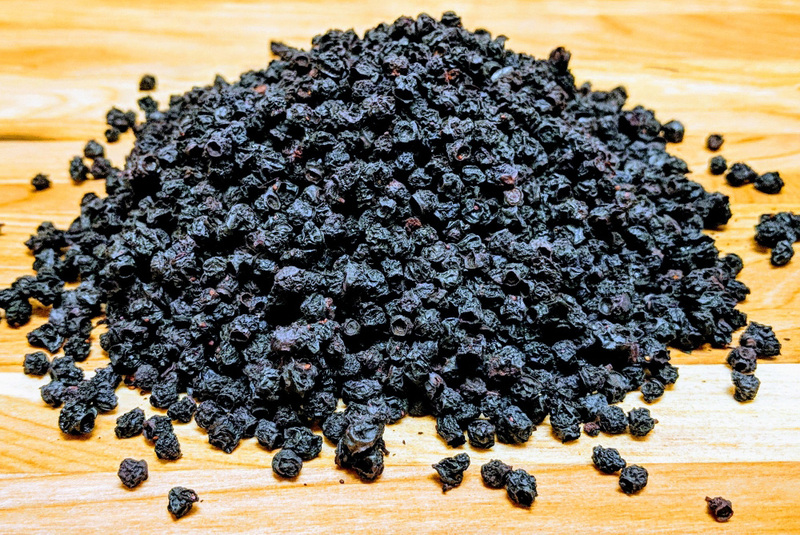 Our wild dried blueberries, organic or conventional, are delicious! Whole or tea-bag cut, our blueberries will add a unique flavour to a number of prepared foods including cereals, nutrition bars, chocolates and a great variety of beverages. With our natural dehydrating process and our standards for high quality, the shelf-life of this dried fruit is up to 3 years as long as it is stored in a cool and dry place. Once the dehydration process is complete, our dried cranberries keep their colour and great taste that characterises them so well. Organic or not, this dehydrated fruit is perfect for a large range of products such as cookies, cereals, muffins and so many more! Combined with very high quality standards and no added ingredients, our natural dehydration process provides a 3 year shelf-life for dried cranberries when stored in a cool and dry place. Our dried lemons may be used many ways in the agro-food sector. This flavourful ingredient becomes a key choice for breweries and distilleries. Organic and conventional dehydrated lemons, either cut into quarters or round slices with their peel, may be preserved a cool and dry place for a total of up to 3 years. Our dehydration process gently eliminated humidity from the fruit while keeping the exquisite and frank flavour of the lemon. 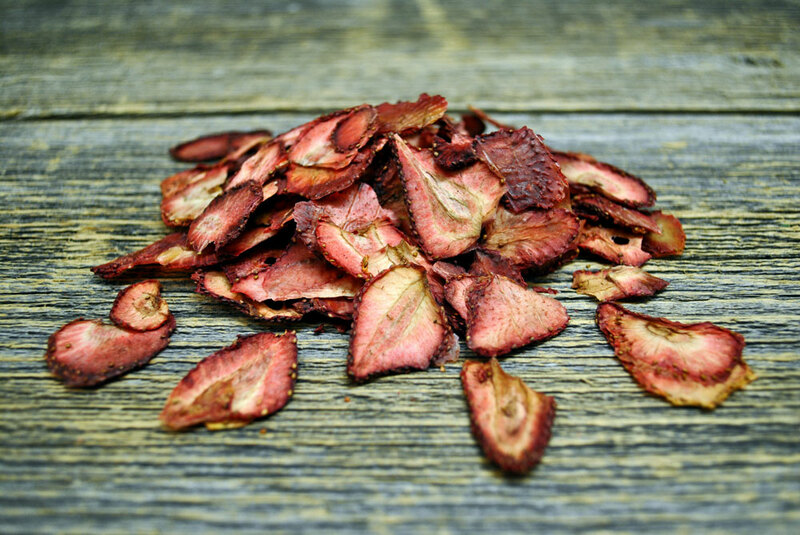 Dried strawberries are an excellent alternative to fresh strawberries when they are not in season. Organic or conventional, sliced this dehydrated fruit delights us with its delicious and authentic taste. Our dehydrated strawberries have no preservatives or food additives and are perfect for a multitude of uses. This dried fruit is added to cereals, chocolate, herbal teas, spirits and to many other foods. When stored in a cool and dry place, dehydrated strawberries may be preserved for up to 3 years. 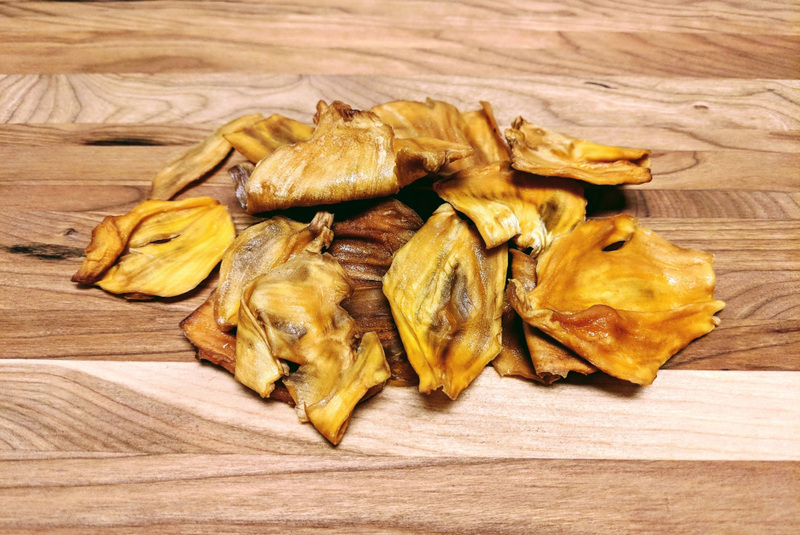 Dried jackfruit may be used many ways in both the agro-food industry and the microbrewery sector. Also referred to as the «fruit du pauvre» in french, the flesh of the jackfruit is yellowy-orange, very sweet and delicious. ANHYDRA can provide you with organic jackfruit that are dehydrated and sliced into 3.5 to 5 cm pieces. Based on our standards for high quality, the shelf-life of this dried fruit is up to 15 months when stored in a cool and dry place. Dried limes are used in many food products including seasonings and beverages. When it is sliced and dehydrated with its peel, this citrus fruit maintains its sweet scent and rich flavour even when the lime is dried. Our technique allows us to slowly eliminate water from the fresh fruit and perfectly dehydrated them. Our limes contain no additives. They are good, naturally, and they may be kept up to 3 years if stored in a cool and dry place. 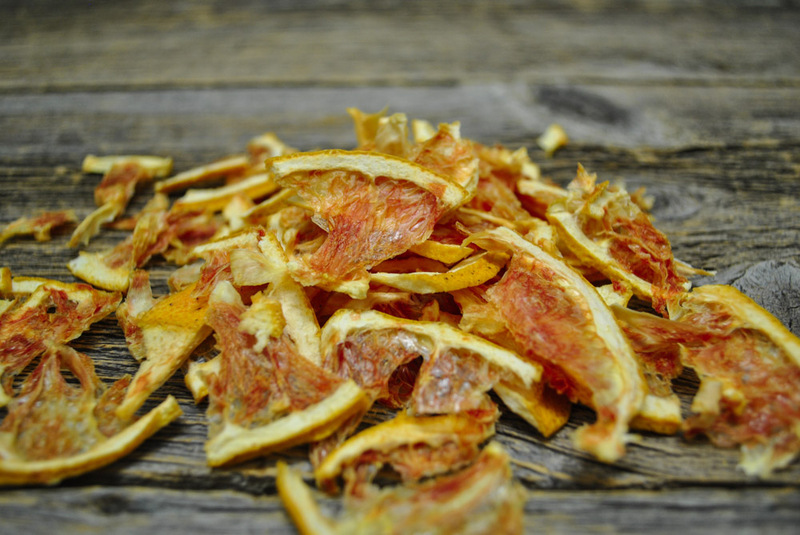 Our dried oranges, organic or conventional, are cut with their peel into quarters or round slices. The orange is the fourth most cultivated fruit in the world and it is used in many sectors of the food industry. 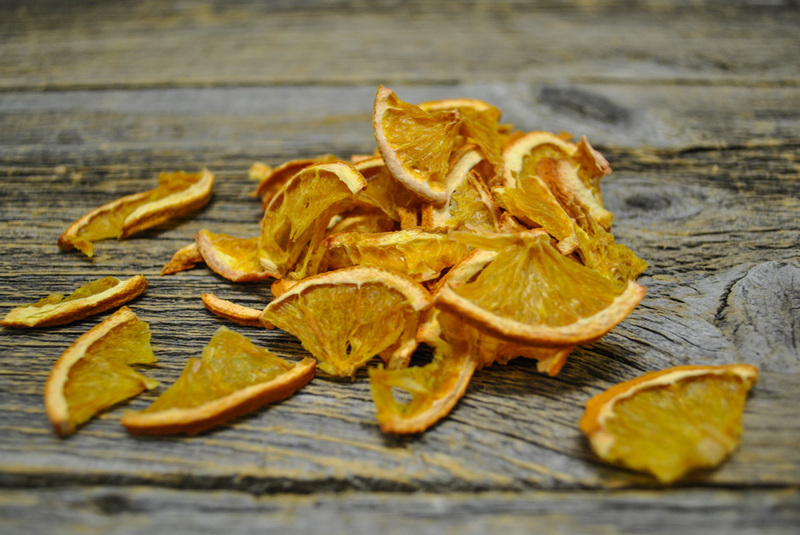 The dehydrated orange is great for cake, muffin, cookie or beverage recipes. Our dehydration technique gently eliminates water from the fresh fruit while providing a rich and flavourful result. 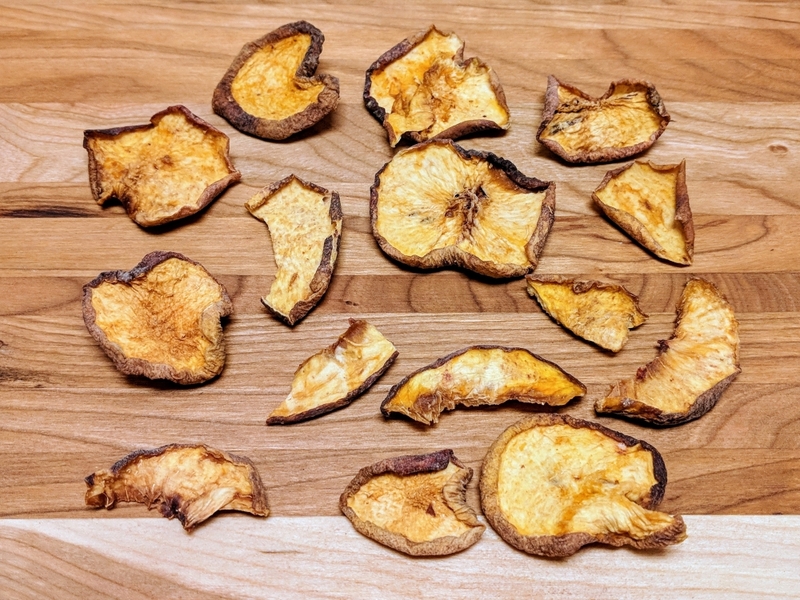 This dried fruit may be preserved up to 3 years in a cool and dry place. 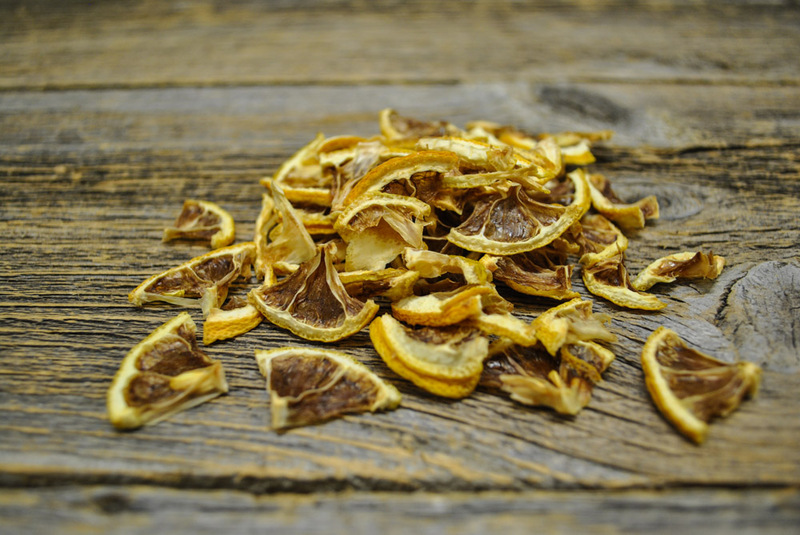 Dried grapefruits are used in many alcoholised products such as beers and spirits. This fruit is also perfect for foods like chocolates and pastries. 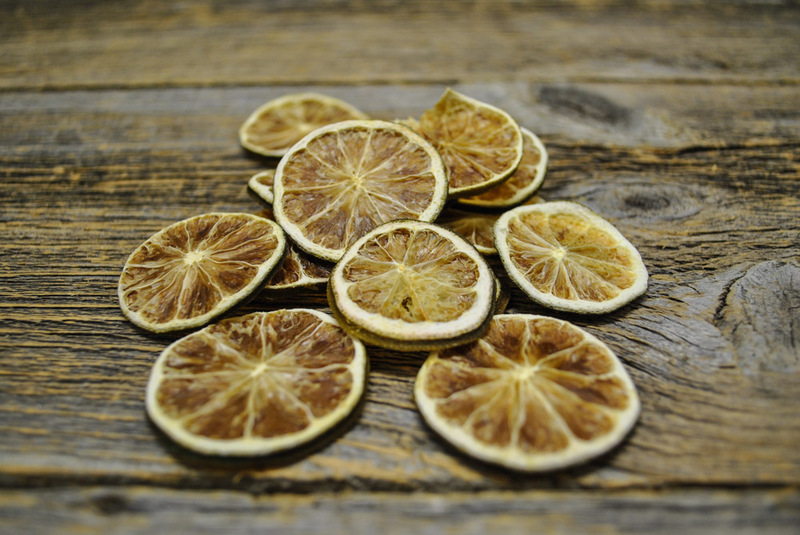 Our dehydrated grapefruits, organic or conventional, are cut into quarters with their peel. With our natural drying process and our high standards of quality, the shelf-life of this dried fruit is up to 3 years as long as it is stored in a cool and dry place. Dried peaches are a wonderful option to consider when fresh peaches are out of season. As a dehydrated fruit, peaches are used in a number of spirits and beers as well as in foods such as chocolate, breads, cookies and granola bars. Our dehydrated peaches are organic and offered cut into 2 to 5 cm pieces. They are dried naturally with a hot air process. No vegetable oil or sulphites are added to influence their flavour. The shelf-life of this dehydrated fruit is 15 months as long as it is stored in a cool and dry place. Our dried pears are delicious! Organic, dehydrated and cut with their peel into 3 to 5 cm pieces, our pears are ideal for cookies, cereals, granola bars, breads and many other food preparations. As a dried fruit, the pear may be preserved up to 15 months when it is kept in a cool and dry place. The natural dehydration process maintains the pear’s nutrients, flavours and colours. 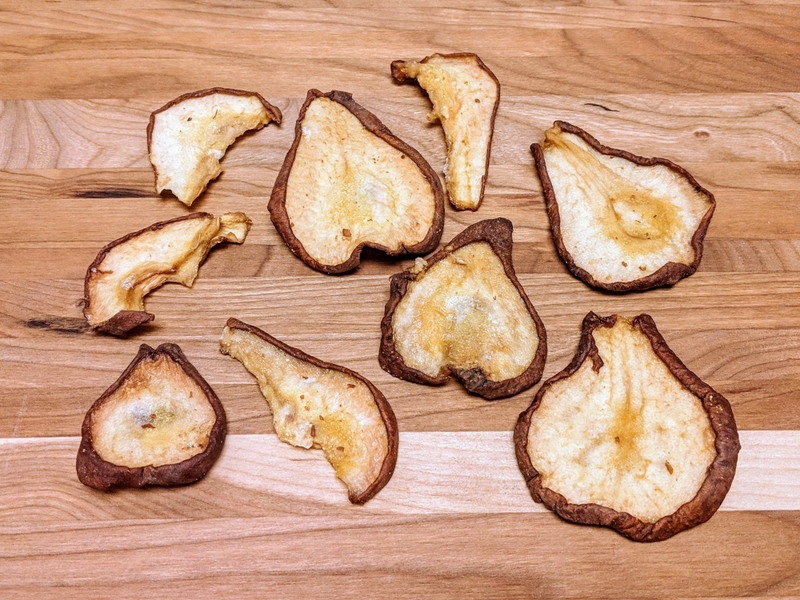 Our dehydrated pears are a choice ingredient for your recipes. 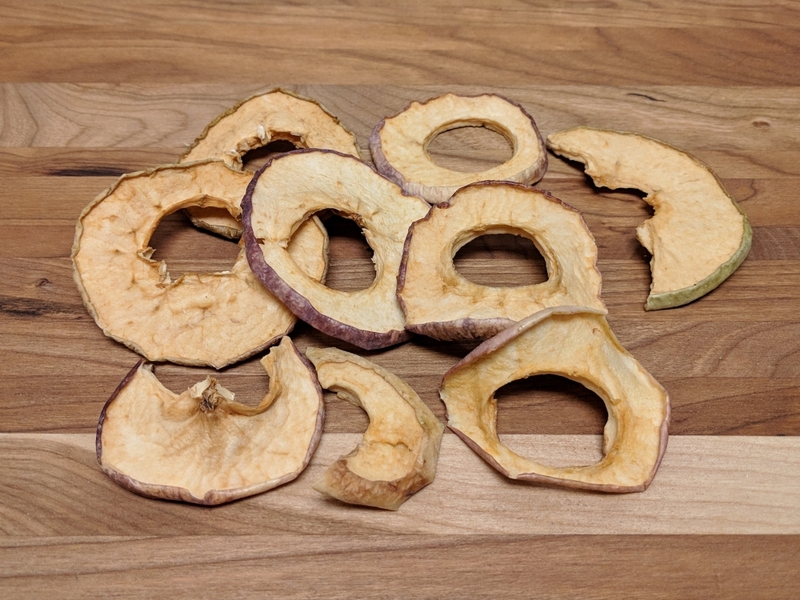 Our dried apples start with a selection of ripe and tasty apples. As a dehydrated fruit, apples are used in a great variety of foods like muffins, cookies, granola cereals and many other preparations. Our dehydrated apples preserve their taste and their appearance for up to 3 years when they are stored in a cool and dry place. Do you need a specific dried fruit? Discover our customized dehydration services!